The Lips Open Mic Contest presented by AT&T provides a stage for aspiring musicians to realize their dreams of making it big. People all across the country could be singing your song in their living rooms with friends and family on Xbox 360! The grand prize winner will get the opportunity to have their song song made available as a free “Lips” download. All U.S. residents 18 and older can enter by composing an original song (score and lyrics) and submitting a video of the performance to www.zune.net/attlipscontest. Submissions are now open through March 13th. The entrant with the winning song will win a trip to Los Angeles, tickets to the Warped Tour on August 23rd, a flat screen TV, an Xbox 360 console, a Zune 120 GB digital media player, and the opportunity to have his or her song immortalized as a free “Lips” download from Xbox LIVE, allowing anyone with the game to test their chops and sing along. The four runners-up will receive an Xbox Elite 360 console, a Zune player and more great prizes. If you’re a metal drummer upset that there isn’t a competition for you to win, stop worrying. Sick Drummer magazine is starting an online contest called The Blast-Off Drum Competition. Metal drummers can upload a three-minute (or less) video of their best solo performance. Entries will then be judged by rockers like former Malevolent Creation’s Dave Culross. Two winners will be selected and they won’t only get a mention in the January issue of the magazine, but they’ll also take home a set of bass-drum pedals. A pair of second-place winners will pocket a gift pack from Hudson Music. Head to SickDrummerMagazine.com for more details. 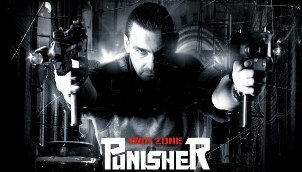 A new contest has started for all unsigned artists to have a chance to get one of their songs in the movie, Punisher: War Zone.